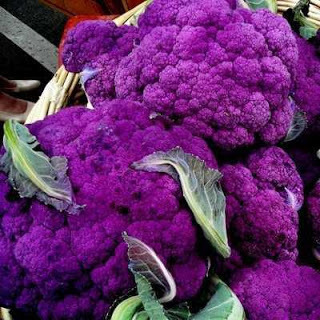 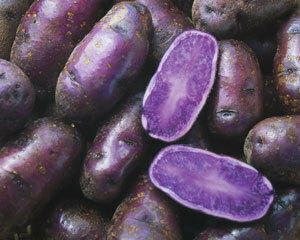 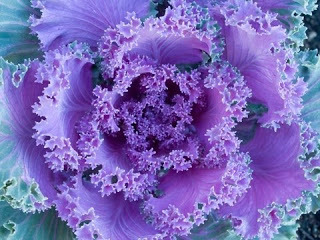 The Diligent Gardener: Grow Your Own.. 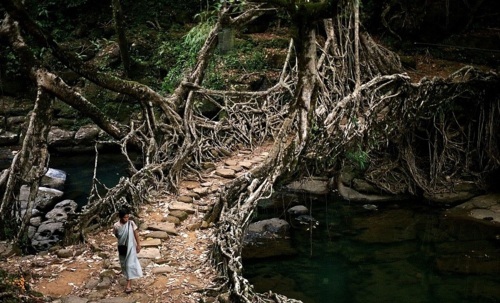 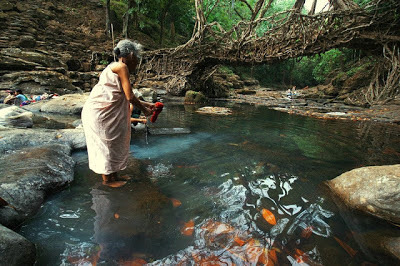 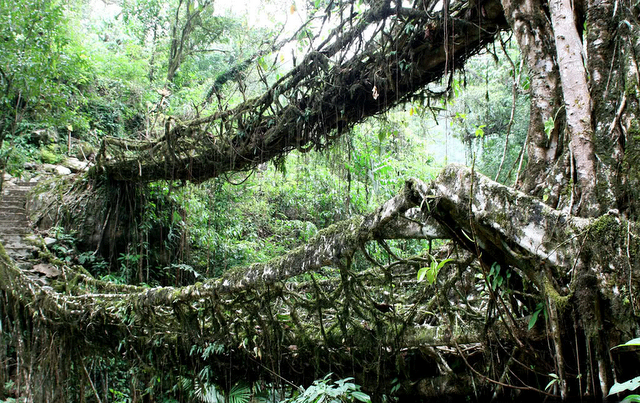 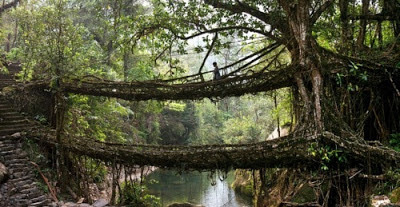 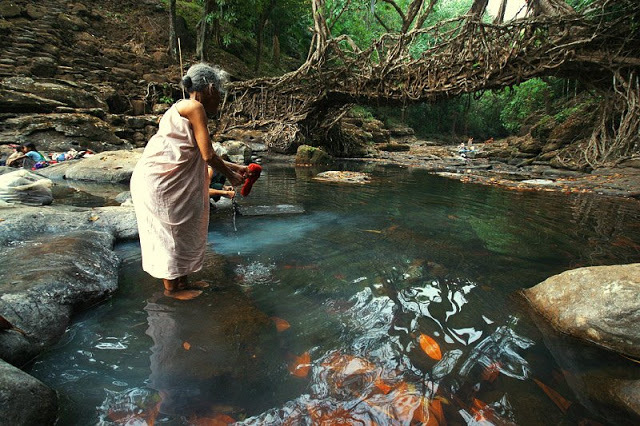 Deep in the rainforests of the Indian state of Meghalaya, bridges are not built, they’re grown. For more than 500 years locals have guided roots and vines from the native Ficus Elastica (rubber tree) across rivers, using hollowed out trees to create root guidance systems. 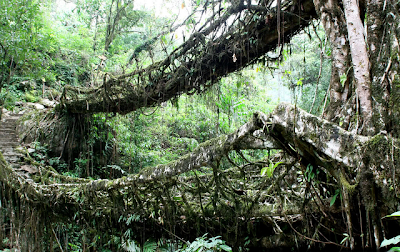 This tree produces a series of secondary roots from higher up its trunk and can comfortably perch atop huge boulders along the riverbanks, or even in the middle of the rivers themselves. 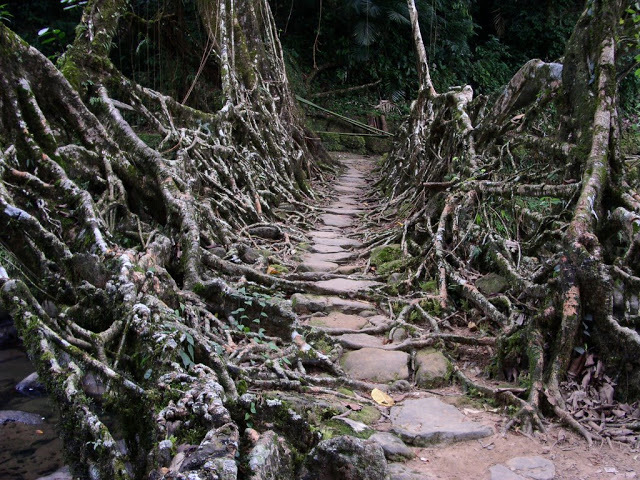 When the roots and vines reach the opposite bank they are allowed to take root. 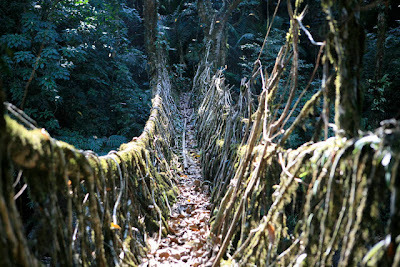 Some of the bridges are over 100 feet long and can support the weight of 50 people.